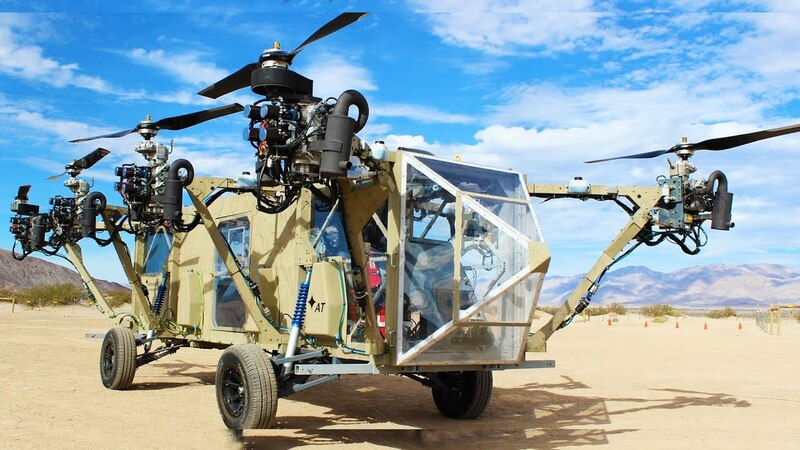 aGupieWare: Truck + Helo = Multicopter! Truck and helicopter: two great methods of transport that, for the first time, can be even greater - together. That's the idea behind the Black Knight Transformer, a new aircraft/vehicle designed by Advanced Tactical Systems, Inc. According to thebrigade.com, the Black Knight is a vertical takeoff and landing (VTOL) "multicopter", which began development in 2010 and completed successful flight tests in March of 2014. The largest multicopter in the world, the Transformer is capable of lifting off with 4,400 lbs of cargo. This is a major benefit to military investors who are interested in having adaptable means of transporting wounded troops to safety from battle zones, and the Transformer has both the power and dexterity to accomplish exactly this. With the flight tests proving its ability to fly autonomously, the Transformer could not only rescue troops without endangering human pilots, but could also make large cargo deliveries to embattled areas. However, daring pilots can still take the controls and fly the Transformer manually, all while knowing they're in a well-designed craft. According to Advanced Tactics' website, the U.S. Army Aeroflightdynamics Directorate and NASA Ames contributed research to the Transformer's development. 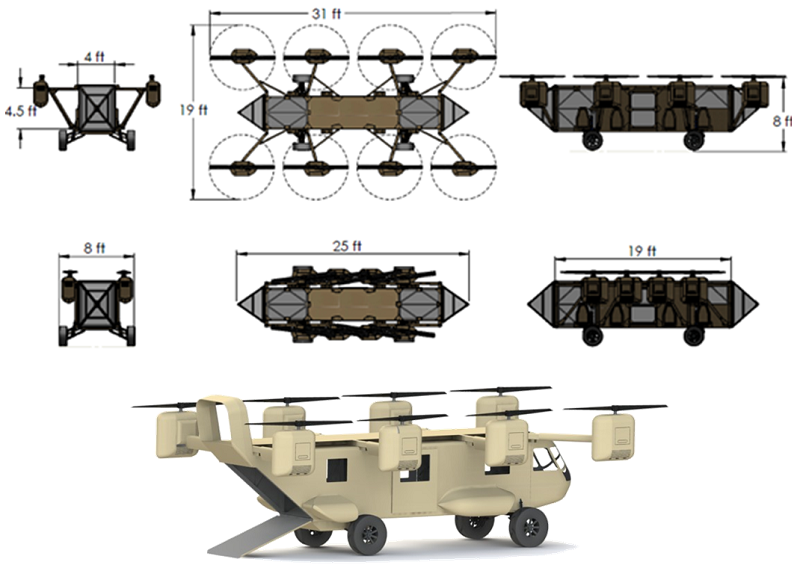 Plans are already in motion to make the Transformer technology applicable on a smaller scale, such as the Panther two-man unit that could fit inside a larger aircraft (like an Osprey) for easier deployments in faraway areas. Requiring minimal training to fly, the Panther could transport two special operations soldiers (plus their gear) quickly and with multi-terrain adaptability. As for specs, the Transformer tops off at 70 m.p.h., and can fly up to 10,000 ft. Oh, and one more totally awesome feature: the ground drivetrain can be removed and replaced with a boat hull, should a mission demand it. So basically, our soldiers are going to be a little safer ANYWHERE thanks to the Transformer. Ramble (and float, and fly) on! "It's a bird! It's a plane! It's a truck! It's a Transformer!"